Mobile. Apps.Everyone is talking about it but only a few knows exactly how to harness this evolution. With iPhone, iPad, Android, Blackberry and Windows Mobile commonly found in the market nowadays, the demand for online content is growing exponentially. 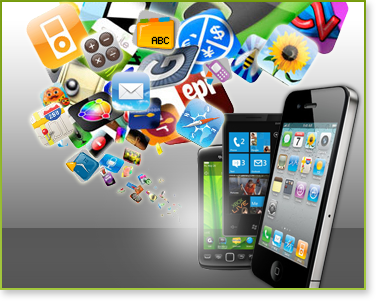 We specialise in engineering mobile apps and work in partnership with our clients. From social networking to ecommerce, we will help you reach your users with well-architected, strong interface design whether via an App or optimised websites. We develop with passion and come up with innovative strategies so that engaging through mobile for the users is a breeze and truly engaging. We have the ability and experience to help your brand grow in the mobile space, be it challenging apps, useful apps, or out-of-the-world apps. Exploit mobile to its full potential has never been more important, call or email us for a chat today.